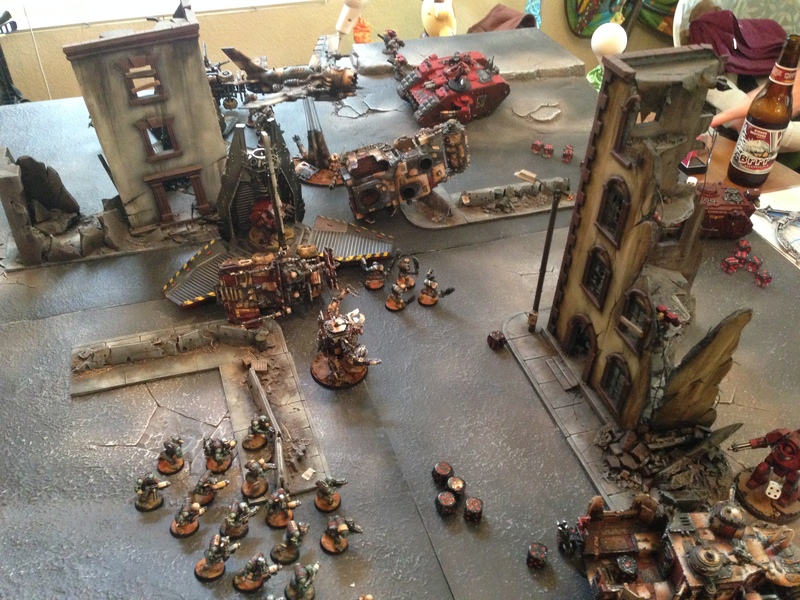 1500pt Orks vs Blood Angels | 30mm Madness! I fielded my recently purchased, beautiful Ork army against my buddy playing my blood angels. Because I don’t get to play much the game was mostly learning the rules… but I had a great time! The Orks definitely have LOTS of dakka… but the list I brought mostly maxed at strength 6 & 7, which couldn’t touch the land raider or the dreadnoughts. The deff rolla’s show promise though, now that I know how to use them! (D6 S10 attacks is nothing to sneeze at!). This entry was posted on December 30, 2013 by justinhardin. It was filed under Battle Reports, Warhammer 40K .